I offer clients knowledge, experience and close attention to client needs, goals and budgets. 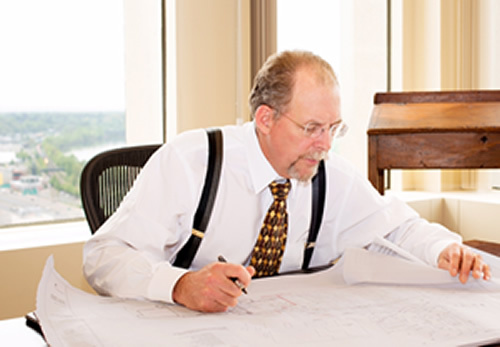 I have been practicing in the areas of environmental and land use law and litigation for over thirty years. I enjoy my work and have been recognized for its quality by clients, peers, and lawyer rating services. I represent public and private entities and individuals on a wide range of environmental and land use issues. My experience has afforded opportunities to work with environmental consultants, federal, state and municipal officials and other lawyers, from and with whom I have learned a great deal. Invitations to write and to participate in environmental education programs for lawyers, law students, government officials and the general public have highlighted the fundamental professional requirement of being able to present difficult subjects directly and understandably. Writing and teaching require knowing a subject and being able to explain information usefully. I opened my practice in 2011 after twenty-seven years in a forty-lawyer firm where I established and chaired the Environmental Law Practice group. Practice in a larger firm meant managing and resolving complex matters for sophisticated clients, all in a context of highly professional and capable lawyers. I started my own practice when I was ready to work independently and focus on serving clients in matters best suited and important to me in a more cost effective way. I would be glad to discuss potential representation with you. If you or I do not think I am a good fit for your needs, I may be able to offer suggestions for more suitable legal counsel. Except where I am able to deliver substantial value immediately, I do not charge for initial consultations. Please review CREDENTIALS for more detail on my background, recognitions and accomplishments. **Disclaimer- This website offers general information only and cannot provide legal advice or opinion. The formality of establishing an attorney-client relationship is essential to quality representation and protection of client rights and interests. Please feel free to call me to discuss information presented here or potentially engaging my services.